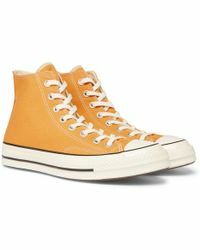 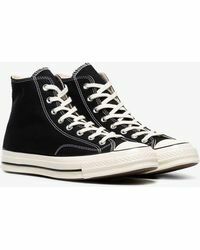 Literally the All Stars of sneakers, Converse's canvas high-tops have come a long way from their humble beginnings on the basketball court. 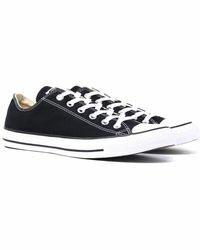 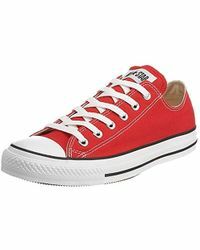 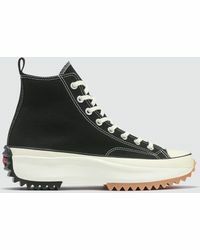 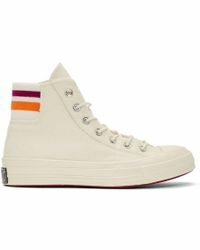 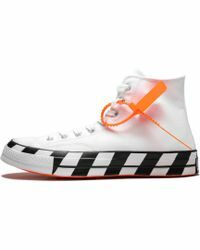 Not only reinventing the court sneaker, Converse , which was established by Marquis Converse in 1908 - has over a century of footwear innovation under its soles, making each low and high-top pair a retro staple for athletes, rappers, skaters and icons alike. 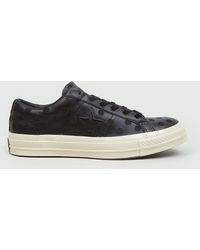 Designer collaborations add punchy prints and quirky details to their iconic Chuck Taylor and Jack Purcell styles.